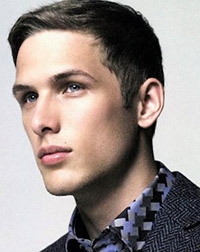 Laurent Albucher was born in France, in 1988, is a French male model. He began his modeling career in 2008, signed to modeling agency New Madison Paris. Studies at Lycée Jean Garnier, Morcenx, Aquitaine, France. He likes to ride motorcycles. L'Officiel Hommes Korea, Daks Lookbook, Fiasco Magazine, Interview Magazine, Guapo Magazine, Esquire UK, Vogue Russia, L'Officiel Hommes, Contributing Editor, L'Optimum Thailand. Louis Quatorze, Antony Morato, Gap, D&G, Massimo Rebecchi, Geox, DKNY Jeans, French Connection, Calvin Klein. Walked runway for Giorgio Armani, Dirk Bikkembergs and Iceberg. Represented by agencies Request Model Management NY, Models 1 London, Why Not Model Management Milan, Scoop Models Copenhagen, MODELWERK Hamburg, Elite Stockholm, Bravo Models Tokyo, New Madison Paris, Next Company Vienna, Sight Management Studio Barcelona. The world approaching a major economic disaster. And nobody talks about it!